The shows at BHSU’s Woodburn (mainstage) Theater take place at 7:30 p.m., October 4-5. The shows at The Matthews Opera House Theater take place at 7:30 p.m., October 13 and at 2 p.m. on October 14. The art in this production is from local community members, much of it coming from people that do not consider themselves artists. The material for this production was gathered from The Matthews and BHSU putting colorful “mailboxes” with blank postcards out in different locations throughout downtown Spearfish. The postcards instructed patrons to create drawings of different subjects, journal thoughts on various life events, or play creative games. Animations are being created to help tell the story. Various people have been sent with cameras throughout Spearfish to take pictures of gardens, flowers, architecture, any other art related subjects. The BHSU photography department is supplying art photos and the BHSU art department is supplying images of the art projects. BHSU’s Woodburn Theatre is located on the second floor of Woodburn Hall at 1200 University St., Spearfish, SD. The Matthews’ theater is located on the second floor of 612 N. Main St., Spearfish, SD. Shows at both locations are free and open to the public. 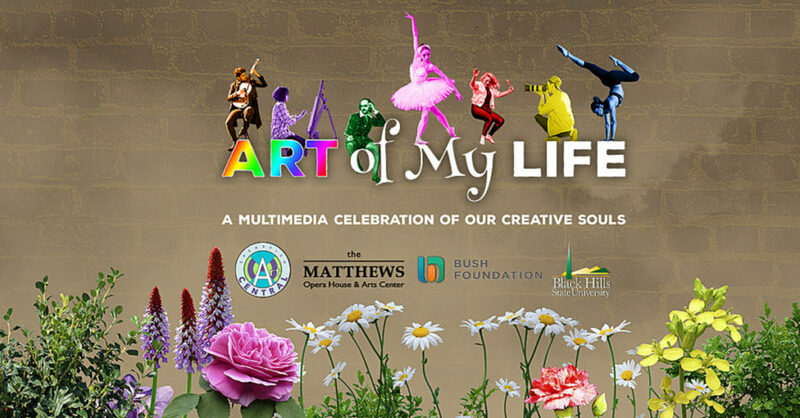 The shows at The Matthews are free, but reservations are recommended. Call 605-642-7973 x0 or go online to get your free reserved ticket. The direct link to getting your seat reservation is just below. BHSU shows do not require advance reservations for seats. Sun., October 14, 2018 at 2 p.m. This entry was posted	on Sunday, February 11th, 2018 at 12:01 pm	and is filed under ArtCentral, ArtCentral Projects, News & Blog, Past Community Theater Shows, Upcoming Live Shows. You can follow any responses to this entry through the RSS 2.0 feed. Both comments and pings are currently closed.